In a move that has been more celebrated than denounced in West Bengal, the Mamata Banerjee-led state government has decided to drastically decrease the number of dry days in West Bengal from 12 to 4.5. On dry days, sale of alcoholic beverages is prohibited. Republic Day, Independence Day, Gandhi Jayanti, the tenth day of Muharram, and Dol Jatra until 2 pm will be dry days in West Bengal. The alcohol-related moralism has now been lifted from Kali Pujo, Eid-ul-Fitr, Ashtami, Nabami and Bijoya Dashami of Durga Pujo, Eid-ul-Zuha, ninth day of Muharram and Mahavir Jayanti. These new rules from the Excise Directorate of the West Bengal government will take effect immediately, with the festive season coming up soon. Additionally, bars in hotels rated 3 stars and above, and clubs will now be able to serve alcohol 365 days a year. While this decision may be spun as being ‘pro-alcohol’ by the Opposition, the reasons are rooted in politics and fiscal realities. The recent prohibition in Bihar by the JD(U)-RJD government had created a good amount of political buzz in neighboring West Bengal in its aftermath. Alcohol ban has been a demand of certain groups in West Bengal like Paschimbanga Muslim Buddhijibi Mahal (West Bengal Muslim Intellectual Circle), All India Sunnat Al Jamayat, Yogendra Yadav-led Swaraj Abhiyan’s West Bengal branch and Asaduddin Owaisi’s AIMIM West Bengal branch and others. 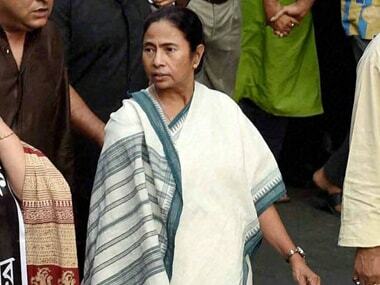 In the wake of Mamata Banerjee's massive victory in the recent Assembly elections, with solid support from West Bengal’s Muslim masses, the besieged combined Opposition of the Congress and the Left made an attempt to grasp at straws by supporting the fringe demand of alcohol ban, with a clear eye towards the Muslim vote. 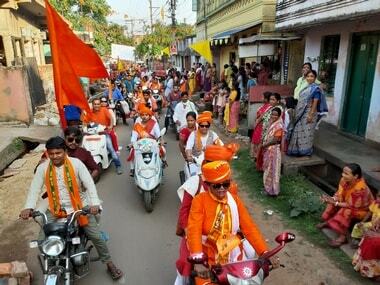 The only significant support pockets that the Opposition retains are in the Muslim majority districts of West Bengal. Ali Imran Ramz, a Left MLA from Goalpokher of Uttar Dinajpur, a district where Muslims outnumber Hindus, demanded state-wide alcohol prohibition like Bihar, during the budget debates in June 2016. The leaders of the CPM and the Congress voiced strong support for the alcohol prohibition demand in the floor of the Assembly, asking the state government to follow Bihar’s footsteps. This cheap play with a well understood but veiled signal to minority sentiments clearly hasn’t worked. 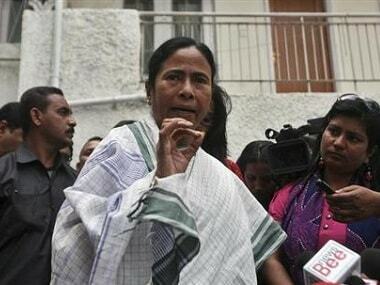 Most Muslim MLAs of West Bengal are with Mamata Banerjee’s Trinamool Congress. 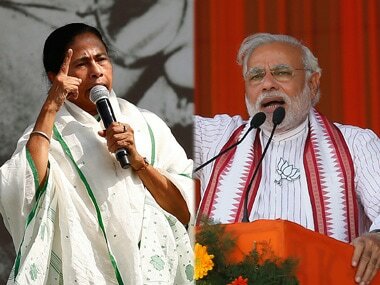 This pre-judging of West Bengal’s Muslim sentiments and using that in general moralist, and law and order concerns drives politics towards communally sensitive dog-whistle type of issues and is a short-cut method of divisive politics for short-term gain and immense long-term damage. That dangerous game has fallen flat on its face with the Excise Directorate directive, for in whatever colours Mamata Banerjee can be painted in by the Opposition, anti-Muslim is probably the most absurd and untenable one. What is the reality? A friend of mine who works in West Bengal’s Excise Directorate once told me that alcohol-related tax collection significantly goes down during the holy month of Ramzan. If that is true, it means that a good number of Muslims do contribute to alcohol consumption through the year, with a piety related dip in consumption during their holy month. The heavily indebted and cash-strapped West Bengal government has earned nearly Rs 4,000 crores in alcohol-related taxes in the last two financial years and has set a target of Rs 4,698 crores for the financial year 2016-2017. The present announcement is a step towards that direction, of putting hard-nosed fiscal realities above the dangerous politics divisive moralism. If anything, West Bengal’s revenue collection from excise is less than 10% of the total state revenue, far under the more than 20% figure in states like Maharashtra. Additionally, 80% of the state’s alcohol is sourced from distilleries in Uttar Pradesh. It is only recently that West Bengal-based players like Pincon group and others have started getting a good share of the market through intelligent, culture-specific branding of locally manufactured alcohol. Whether moralists like it or not, restrictive alcohol laws are also a dampener for the tourism and hospitality industry, a sunrise field where West Bengal has been focusing aggressively in recent years. West Bengal clearly doesn’t want to follow the Gujarat model of tourism, which has been a dry state for more than half a century. In spite of Amitabh Bachchan’s best efforts in projecting Gujarat as a tourist destination, it doesn’t even figure among the top 10 states when it comes to domestic tourist footfall. West Bengal is ranked at number 8. Similarly, as a destination for foreign tourist visits, Gujarat doesn’t figure in the top 10. 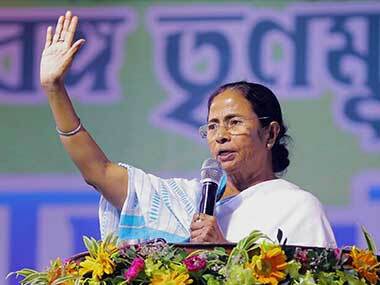 West Bengal is ranked at number 6, above the dry states of Kerala and Bihar. Interestingly, Scotland has made its Scotch whiskey a serious draw for international tourism. However, the Scotch we have today is a sophisticated and well-distilled version of the liquor that used to be produced and consumed earlier in Scotland, which used to cause a huge number of poisoning incidents and death. That doesn’t happen anymore, as their government supported the manufacturers there, not by driving them underground, but by upgrading a traditional craft by investments into distillation processes. All over Bengal and indeed all over the world, every ethnic group has its own alcoholic beverages. In the subcontinent and in Bengal, these traditions are dying precisely because these beverages are looked upon as poor people’s drink, not fit for consumption by the wealthy and powerful, which would rather consume vodka and whiskey, which used to be poor and universal people’s drink in white countries and still are. In Bengal, excellent drinks like Tari, Mohua, Roshi and many others continue to exist, without any government support in their production and without any investment in their distillation process. In both questions of revenue and tourism, West Bengal could really move up in the value chain, if the production of such indigenous drinks could be standardised, given Geograohical Indication (GI) tags and made market ready, like how Feni of Goa has successfully accomplished. It is an opportunity to make money and strengthen our culture at the same time, something that is quite against the consumption trends in the post trade-liberalisation world. Alcohol prohibition has long been a weapon of hypocritical and classist moralism, couched under the garb of concern for the masses. Alcohol consumption and abuse among the poor cannot be looked at being something that is divorced from the grueling physical realities and hopelessness of a life in poverty and arduous labour. The hypocrisy shows when rich people’s enclaves like top hotels and bars are exempted from alcohol prohibition and the usual picture of the “typical alcoholic” is a poor, drunk man who beats his partner and squanders away all his earnings leaving his children hungry. Such classist depictions of a problem as complex as alcohol abuse needs a broader nuanced understanding and approach as opposed to the playing-to-gallery techniques like alcohol prohibition. Historically, alcohol prohibition doesn’t work unless it is a totalitarian dystopia like Saudi Arabia, whose elite can afford to fly to Dubai and Europe to consume their own share of alcohol anyway. Prohibition leads to black marketeering and more dangerously boot-legging that results in greater amounts of spurious alcohol causing immense misery and death to people who the powers to be supposed want to save. Prohibition has always been a misguided and misconceived policy. That Mamata Banerjee has not fallen for it is a welcome sign and speaks more of her realist political connect and West Bengal’s socio-cultural attitude towards alcohol than anything else.